Are your teeth crooked or misaligned? Maybe you’ve avoided getting braces because of their appearance or discomfort? Thankfully, modern dentistry has brought an amazing way to straighten your teeth comfortably and discreetly: Invisalign clear braces. Keep reading to learn about Invisalign in New Lenox, its benefits, and some frequently asked questions about the treatment process. So you had to have one or more of your teeth pulled, the question now is “what is the next step?” You can have a gap in your mouth, or you can restore your smile. You won’t find a dentist who will tell you to just live with the gap in your mouth. There are many problems with this. At Atrium Family Dental, we care about our patients and advise them to do what is best for their health while also working with their budget. 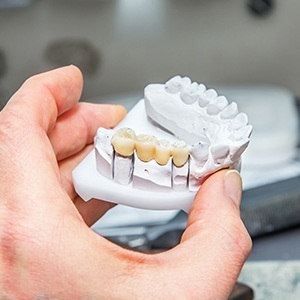 Keep reading to find out why our New Lenox dentist advises patients to find a restorative dentistry treatment to resolve their missing teeth. 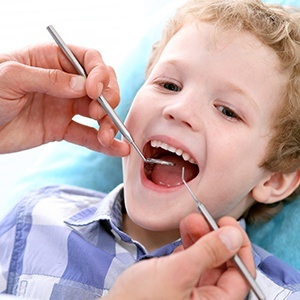 Have you ever realized that your annual dental check-up was coming up, and groaned in anticipation? Maybe it’s the time you have to take out of your day, or the cost of a dental appointment, that makes these appointments less than fun. Here at Atrium Family Dental, we completely understand – after all, we are people who have doctor’s appointments just like you! But the truth of the matter is that preventative and general dentistry, like the services you receive at your annual check-up, is vital for not only keeping you healthy but also for protecting your financial health! Here’s how. We often take our teeth for granted because they work so well for our day in and day out. However, we must also consider what to do when a major trauma related event strikes the mouth region of our body. Teeth can be lost and extreme damage was done to the jaw and the gums if an emergency dentist is not sought right away. This is why it is so important to understand what needs to be done during a dental emergency. Keep reading to learn more.